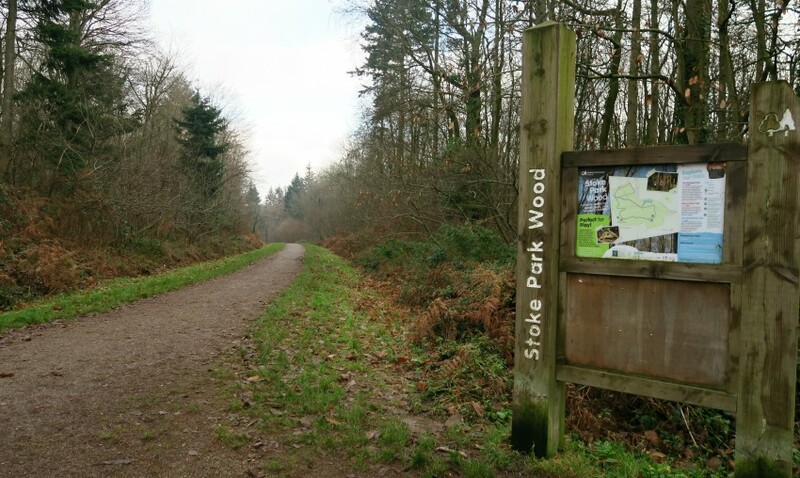 A few weeks ago I heard about Stoke Park Woods on the news, the woods were under threat from being built on to make way for housing and new roads. I hadn’t heard of these woods, so took to Google to find out more. Only to find a large wood that I have never visited, and didn’t even know they were there! UPDATE: You’ll be pleased to hear that the woods themselves are safe but it’s the wider area of scenic farms, footpaths and bridleways at risk. Here’s a link that will tell you more about the area and our campaign. 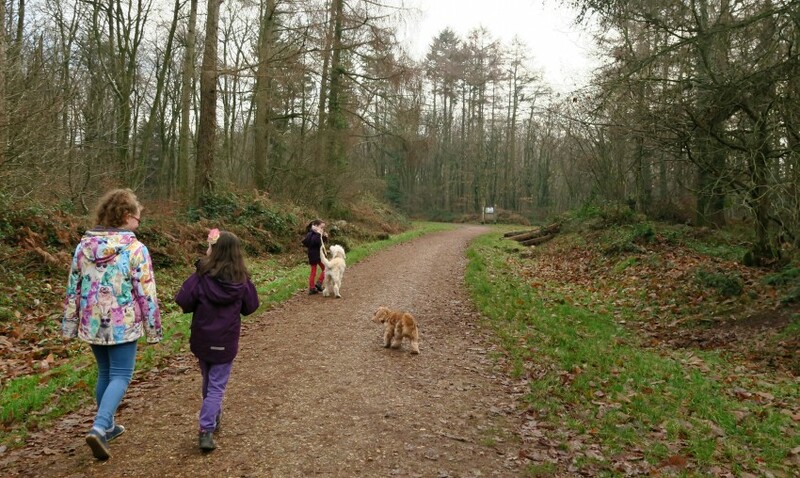 So we took a visit out to Stoke Park Woods, and to see what it was like. 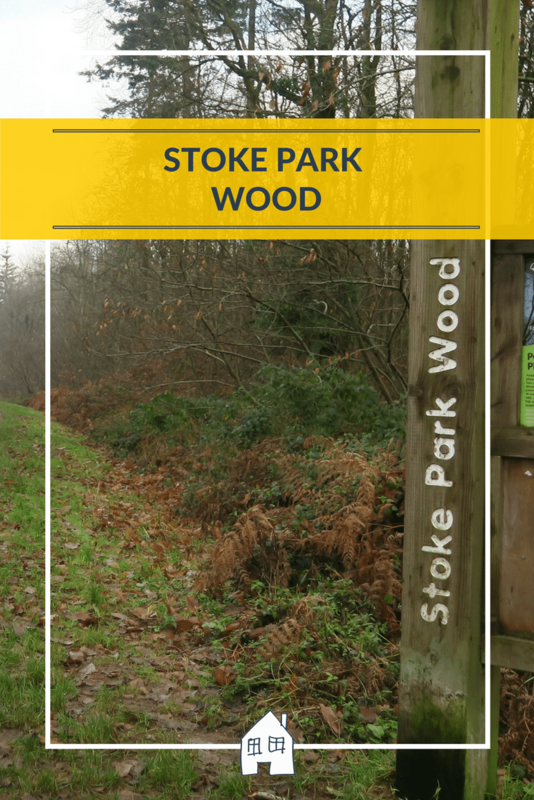 With a small car park near the start, and set right on the edge of a residential area, Stoke Park Wood was very easy to find. We headed off along a path, not knowing what we were going to find. 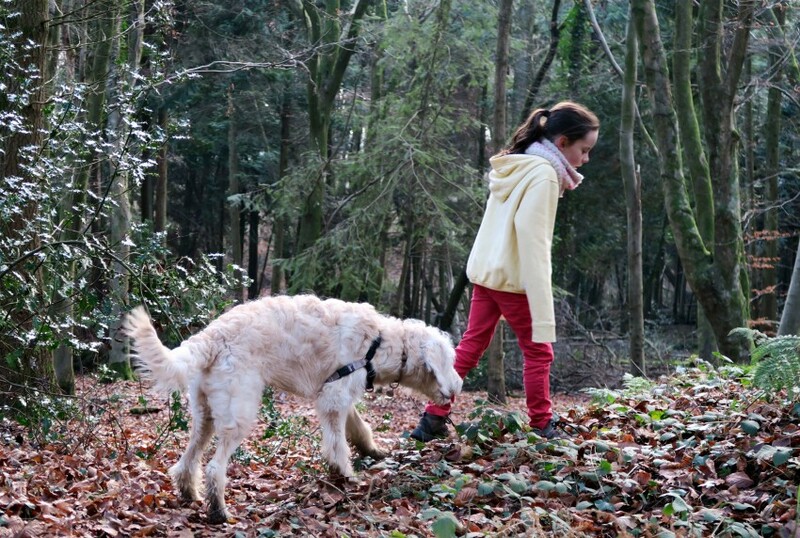 The kids were quite happy exploring a new wood, and Gus had plenty of space to run about. The paths were gravel paths, of course, muddy as it is winter, but not like walking through paths of thick mud. 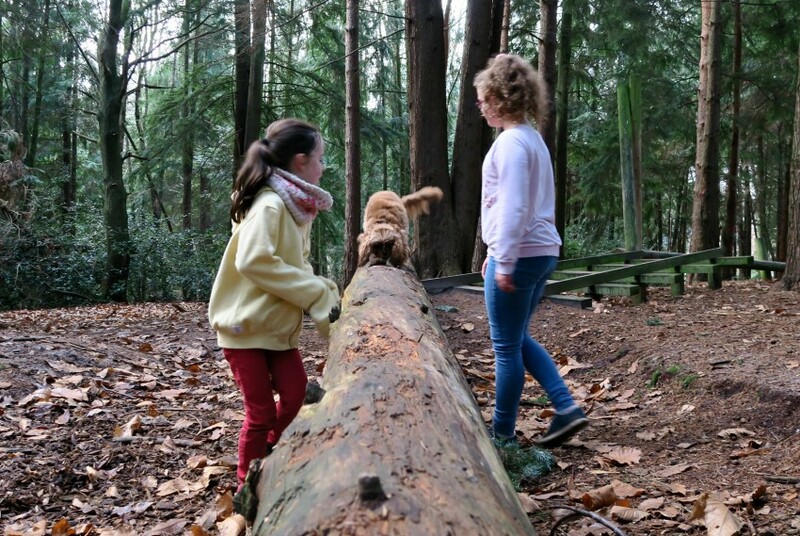 Then dotted around were little areas for the kids, we found a wooded area where someone had made a den, which of course this intrigue them to explore, and find more sticks add to the den. However, it also was a perfect place to play ‘manhunt’ ‘tag’ and lots of games. Hiding behind trees, bushes and hidden areas. Then we carried on walking around the paths, there are a few picnic benches dotted around so we will be back in the summer with a picnic! Also, they are making a mountain biking area, which looks really good and will keep loads of kids happy once it is open and I can see it being very popular. 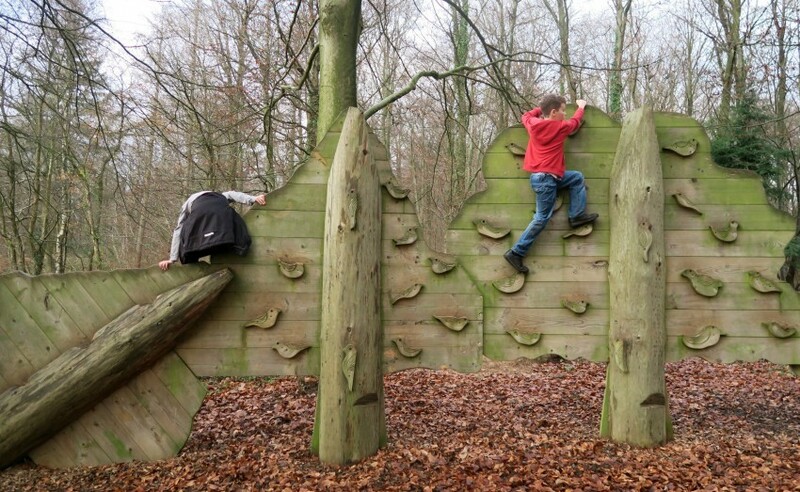 There was a wooden climbing wall, which went down very well with the kids. A large wooden climbing boat, bars to walk along and a fireman poles to slide down! 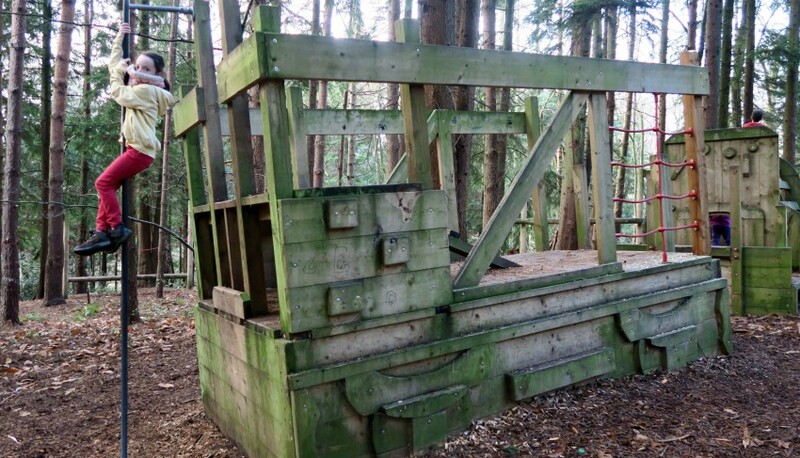 The last play area on our route was a large wooden den, with peepholes and climbing steps to climb all over it. 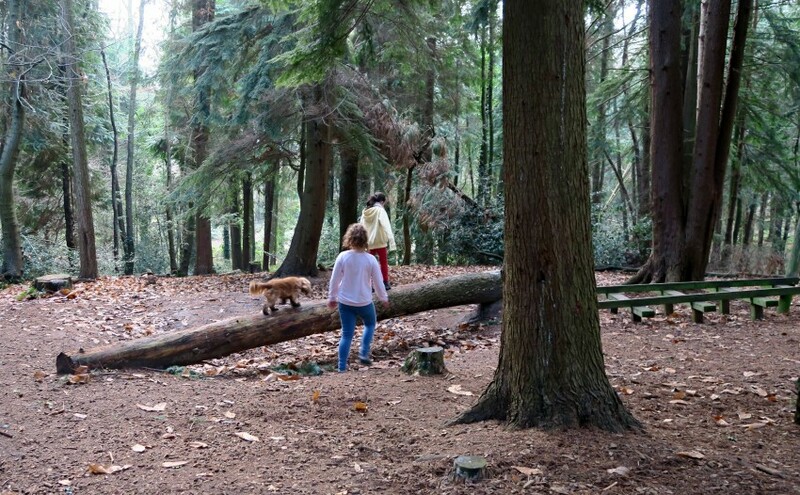 Stoke Park Woods was a great find, the walk is long enough if you are looking for somewhere close to burn off some energy, or just to get out for a bit, and perfect to walk the dog around too. This was just one path, there are more paths that we haven’t explored yet. Oh that is great news to know that the woods are safe! Phew! But rubbish that the surrounding areas are at risk, I am sure a lot of people use them to explore and all the wildlife. Thanks for taking the time to comment and letting me know. Oh wow ! That’s an absolutely beautiful place to go for s walk. We love woods and this looks like such an amazing space. 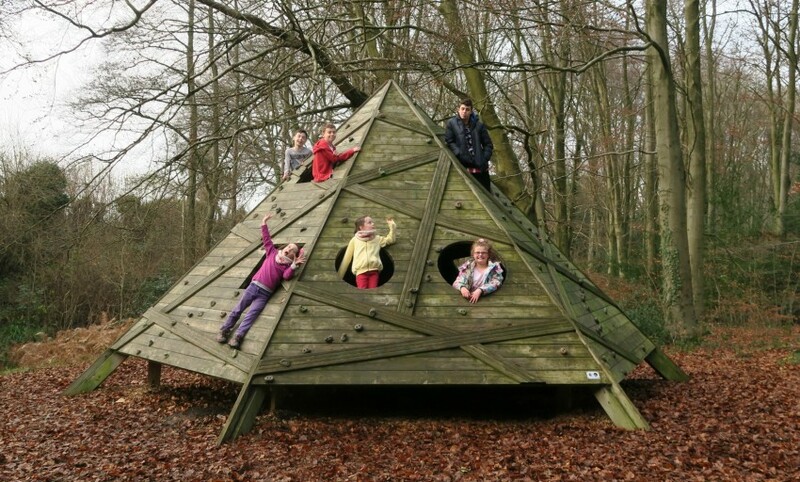 Love all of the wooden climbing frames and play areas that you found. 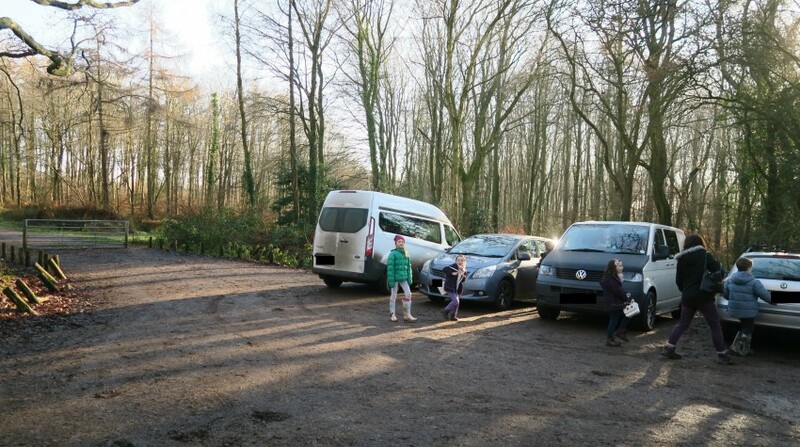 It is such a shame that these woods are at threat, I hope that they are saved as it looks like such an idyllic place for a walk or somewhere fun and naturetastic that children can enjoy especially with the bespoke play things. what gorgeous woods it would be a huge shame to build houses on such a lovely area. What a kid friendly wood! I love all the apparatus for them to climb on! 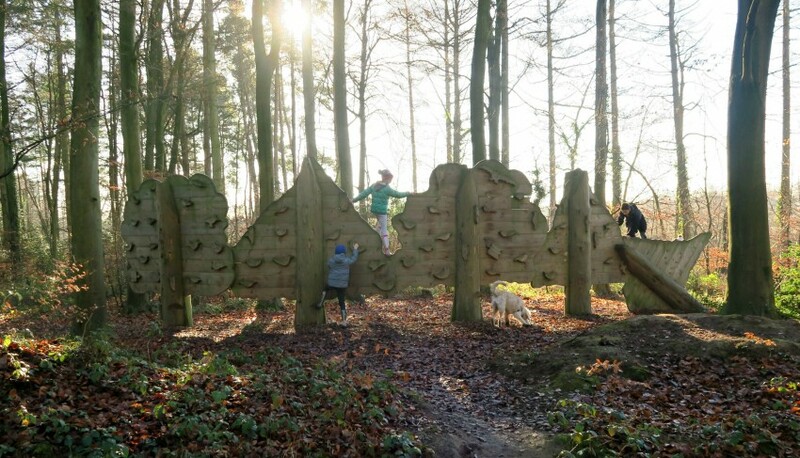 Oh this looks fab, a really great place to get out and enjoy and fab for various ages with the bits to climb on etc! What a shame they are looking to knock somewhere as beautiful as this down and the play equipment int here looks amazing. 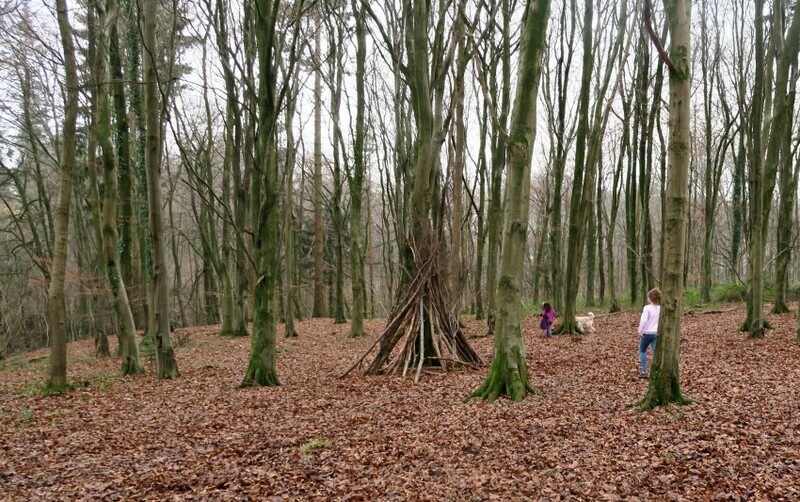 Who wouldn’t love a walk in a woods like this with wonderful natural and bespoke play ideas along the way. I do hope they find another location for their houses.